Why is Bitcoin surging massively right now? The value of Bitcoin has been somewhat turbulent since it reached its record high in 2013, but it's surging again and nobody's entirely sure why. At the time of writing the cryptocurrency is sat at $473/£307, marking a jump of more than 70% in one month. The coin dipped below $200 back in January - a long way down from its all time high of $1,242 back in (2013) - and now fortunes have been reversed quite significantly. So why the rise? Analysts are throwing around a number of possible reasons, including positive press coverage. Bloomberg reckons it might be due to "enhanced interest and acceptance from established financial companies" as firms have taken interest in Bitcoin's blockchain technology. China might also be playing a significant role in the upturn, with the country capping the cash withdrawals its citizens can make overseas - making Bitcoin a more favourable way of getting money outside the country. The theory is that the control tightening led to greater demand for Bitcoin. The increasingly widespread acceptance of Bitcoin has been fascinating to watch. Research firm Magister Advisors recently predicted that Bitcoin will become the sixth largest global reserve currency by 2030, meaning it could be as widely used as the Australian dollar. Some commentators have pointed out the recent surge is just part of a cycle we've seen before. 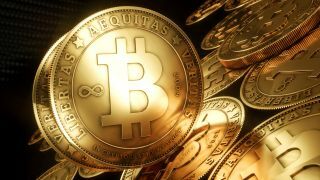 Jameson Lopp, an engineer at Bitcoin security platform BitGo, told techradar: "Reports indicate that China is leading this rally again, but even those reports can't be fully trusted because Chinese exchanges have been known to inflate their reported volumes and some have extremely high volumes due to not charging fees on trades. "The reality is that Bitcoin is a thinly traded market and it can be moved by a single wealthy individual if they so desire. In fact, I'll refer to Nathaniel Popper's book 'Digital Gold' in which he revealed that the April 2013 bubble to $266 was NOT a result of the Cyprus crisis as everyone was sure of at the time. It was actually a result of Wences Casares evangelizing Bitcoin to a group of his wealthy friends in Silicon Valley, who promptly went off and bought enough bitcoins to move the market significantly." Lopp added that the good news coming out of the Bitcoin ecosystem this year means that the currency is being taken seriously by more and more people. "They're realizing that this is not a toy or a fad, but a revolutionary new technology with vast implications if it manages to become mainstream."